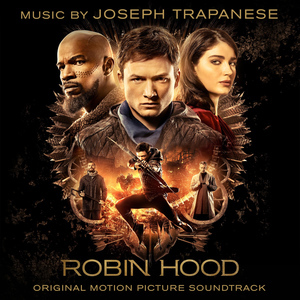 Joseph Trapanese is best known for his sleek score work for blockbuster films like "Tron: Legacy," "Straight Outta Compton," "Oblivion," and the "Raid" series. As a composer, arranger, and producer for movie, television, theater, and video game music, he has collaborated with a number of mainstream musical acts. His first major break came in 2010 when he worked with Daft Punk on the sweeping digital soundtrack to Disney's "Tron" reboot/sequel. Trapanese followed that success by creating a score with Mike Shinoda of Linkin Park for the American release of the 2011 Indonesian martial arts film "The Raid: Redemption" (he would continue without Shinoda in 2014 with "The Raid 2"). That same year, he helped with arrangements on a handful of tracks for M83's breakthrough hit "Hurry Up, We're Dreaming," which led to the pair's collaboration on the 2013 Tom Cruise sci-fi epic "Oblivion". For 2017's "The Greatest Showman," Trapanese worked alongside Pasek & Paul and John Debney, producing songs and co-composing the score. Notable solo scores include "Robin Hood" (2018), "Only The Brave" (2017), the landmark rap biopic "Straight Outta Compton" (2015), "Earth to Echo" (2014), and the second and third installments of the "Divergent" series, "Insurgent" (2015) and "Allegiant" (2016). For television, he has composed scores for USA's "Unsolved" (2018); Amazon's "Jean-Claude Van Johnson" (2017); ABC's "Quantico" (2016-17), Freeform's "Dead of Summer" (2016), and Disney XD's "Tron: Uprising" (2012). Video game scores include EA's "Need for Speed Payback" (2017) and Ubisoft's "The Crew" (2014). In the studio and in concert, in addition to Daft Punk, M83, and Mike Shinoda, he has worked with Dr. Dre, Zedd, Kelly Clarkson, Dierks Bentley, Kendrick Lamar, Moby, Aloe Blacc, Alessia Cara, Haim, The Glitch Mob, Active Child, Halsey, Sohn, John Newman, Dia Frampton, 3OH!3, Steven Price, and James Newton Howard. Born in Jersey City, Trapanese earned his B.A. in classical composition from the Manhattan School of Music. He went on to study at UCLA for his M.A. and taught electronic music composition at the school from 2008-2011. In 2016, he became a member of the Academy of Motion Picture Arts and Sciences. In 2013, alongside a tenacious group of composers, artists, and musicians, Trapanese founded The Echo Society. Aiming to inspire each other and the community around them, the group creates and performs new music showcasing the unique talents and environments of Los Angeles.